The box squat is one exercise many simply do not in the gym, or if they do, they have terrible technique and form. Sure, there are some who do this movement spot on, but it is certainly rare to find at your local gym. First let's discuss the benefits. Why even do box squats? The primary goal for a box squat is to help you in other lifts as well as push the muscles beyond what they normally can do vs. a regular parallel squat. 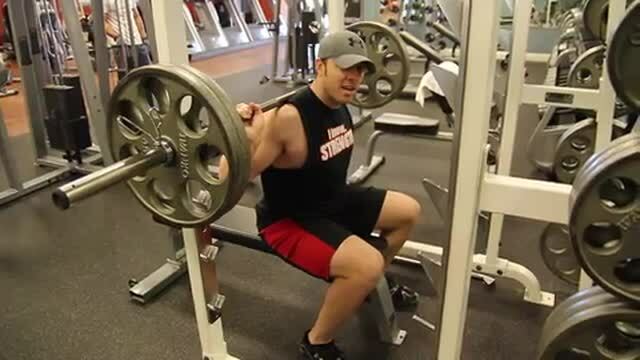 Because you are able to go heavier, the focus on the movement really should be on the concentric phase, or the coming back up from the seated position. The box allows for a short static pause right before you press back to a standing position. The "recoil" allows for more force to be applied which allows more weight to be used. During the decent in a normal squat we have no pause at the bottom and a "seat" to take to generate the force that the box squat allows to occur. The risk of the box squat comes with a lack of knowledge of how to do them correctly. First the height of the box depends on the lower shank of the leg. Some are taller than others and the depth is going to be different for everyone if they use the same box. The goal is to get a box that allows for the hamstring to be parallel. In general, many can determine the height themselves, but it all depends on you. A general rule should be to use a box or a bench that is just below the knee height. The decent should be slow and steady. As you force your hips back to touch the box and once you contact the box, at no point should the load transfer from your feet to your back. In other words do not "plop" or sit hard on the box. The tempo should be to sit, then settle, recoil, then explode back upward.